One of the things that struck me when reading Rob Bell’s Love Wins is the extent to which Bell employes emotive arguments in making his case that the traditional Christian teaching regarding heaven and hell are “misguided and toxic” (Preface). When I say that this struck me I do not mean to imply that it surprised me. Indeed, one can hardly attend to much of what is said in politics or on the public airwaves today without being aware of the extent to which passion-laden rhetoric has displaced reasoned argumentation in contemporary civic discourse. Nevertheless, in responding to Bell’s position I hope to avoid emotive, or perhaps I should say passionate, appeals and restrict myself to the substantive content of Bell’s work. There are any number of points at which one might choose to engage Bell. One might address his technique of setting up overly simplified ‘straw men’ to represent the views of others that he then proceeds to knock down, commonly by asking a series of leading questions rather than by careful analysis or thoughtful argumentation. One might lament his almost constant proclivity for setting up false alternatives, or the way in which he casually tosses out the names of a few early churchmen in an attempt to give a misleading impression that his view, that the loving God of the Bible would never consign any of his creation to eternal punishment, has been commonly held throughout the history of Christianity. By the way, on this score it is shameful the way that Bell cites Luther’s letter to Hans von Rechenberg (Luther’s Works, American Edition, Vol. 43, p. 47 ff.) as if Luther supports Bell’s position that everyone (or nearly so) will be saved, a position that Luther explicitly rejects in the letter (cf. p. 53). Has God created millions of people over tens of thousands of years who are going to spend eternity in anguish? Can God do this, or even allow this, and still claim to be a loving God? 5 Yahweh came down in the cloud and stood with him [Moses] there, and defined the name ‘Yahweh’. 6 Yahweh passed before him and defined ‘Yahweh’ [thus]: “Yahweh is a compassionate and merciful God, slow to anger, and full of true grace, 7 watching over a thousand generations in grace, forgiving iniquity and transgression and sin, but who will certainly not leave the guilty unpunished, inflicting the punishment of the fathers upon the sons and the grandsons, to the third and the fourth generation. The passage draws a strong contrast between the vast extent of God’s grace, which extends to a thousand generations, and the meager extent of his wrath, which extends only to three or four generations. The contrast in the imagery reiterates and reinforces the directly expressed statement that “Yahweh is a compassionate and merciful God.” This is the Old Testament’s way of expressing what dogmatic theology characterizes as the contrast between the proper work of God (opus proprium) and the alien work of God (opus alienum). The proper work of God is showing mercy; the alien work of God is judgment upon sin. It is this proper work of God, the expression of his compassionate, merciful, and loving character, that Bell rightly emphasizes throughout his book. However, his thesis fails because it is incomplete; it rejects God’s own self-characterization, that he will not leave the guilty unpunished. It is noteworthy in this respect that Bell never mentions this crucial passage. He fails to recognize that the alien work of God is still God’s work. Indeed, it is only by understanding the relationship between God’s proper work and his alien work that we can understand the role of the death of Christ on the cross. It is helpful to see how the interaction between the love of God and the justice of God is expressed in the unfolding revelation of God’s redemptive plan. The concept of substitutionary atonement is essential to sacrificial system in the Old Testament. While this is partially anticipated in the redemption of the firstborn males of Israel (Ex. 13.1–2, 11–15), we do not have here the full expression of the concept of substitutionary atonement since there is no suggestion that the redemption spoken of in Ex. 13 is associated with the forgiveness of the sins of the people. This element is not introduced until the aftermath of the episode of the golden calf, when Moses offers himself to God to be punished as a substitute for the punishment of the people (Ex. 32.30–32), an offer that God declines (Ex. 32.33 ff.). 3 If as a burnt offering [he brings] a gift from the herd, he shall bring an unblemished male. To the door of the tent of meeting he shall bring it, for its acceptance in the presence of Yahweh. 4 Then he shall lay his hand on the head of the burnt offering, and it shall be accepted on his behalf to make atonement for him. Judgment and death are inflicted upon the animal as a substitute for the punishment of the individual who has sinned. Similarly, this notion of the forgiveness of sins through substitutionary judgement is expressed on a collective level in the rituals of the Day of Atonement (Lev. 16), by which the sins of the people are covered by the sacrifice of a goat and are symbolically carried away into the wilderness. Indeed, so fundamental is the notion of the offering of a substitute to be sacrificed in place of the punishment of the people for their sins that the very word commonly translated ‘atone’ in Hebrew (כפר caphar) has, at its core, the notion of one thing serving as a covering for another. As it relates to Bell’s thesis, the point is this: throughout the Old Testament, the forgiveness of sins is not characterized as a loving God simply ignoring or overlooking the sins of the people. The just-ness of God compels him to punish sin. At the same time the love of God compels him to desire to be reconciled with the sinner. The wisdom of God (to introduce another divine characteristic) provides a way for God to act in accord with both his justice and his love. The love of God does not simply suspend the justice of God. Love does not ‘win’ in the sense that it defeats justice. Rather, love fulfills the justice of God. Furthermore, as the history of God’s dealing with Israel clearly shows, for those who reject the love of God the justice of God remains, for God, as he himself said, will certainly not leave the guilty unpunished. Throughout the Bible God never ceases to be just, even while his love moves him to be reconciled to those who have made themselves his enemies by their rebellion against his will. This brings us to the cross, where the love of God fulfills the justice of God when God takes the punishment for sin upon himself. This is the New Testament’s understanding of the significance of the death and resurrection of Jesus Christ. That is was his own understanding Jesus made clear when he says that he, “came to give his life as a ransom for many” (Mk. 10.45). The notion that Christ died for our sins (I Cor. 15.3) to redeem us (Gal. 3.13; 4.5) by the shedding of his own blood (Heb. 9.11–12) assumes not only the framework of the Old Testament sacrificial system but also the reality of the judgment of God upon sin. you hate all those who do sin. You may surely eat of every tree of the garden, 17 but of the tree of the knowledge of good and evil you shall not eat, for in the day that you eat of it you shall surely die. God was telling the truth, about Adam and Eve and every person who ever lived. The divine judgment echoes in the words of the Apostle Paul, that the wages of sin is death (Rom. 6.23). God is just, and the justice of God demands that the wages of sin be paid in full. Throughout the entire Old Testament, every animal sacrificed on the altar shed its blood because the wages of sin is death. And God is still just, and the justice of God still demands that wages of sin be paid in full by death. “But God demonstrated his love for us in that, while we were still sinners, Christ died for us” (Rom 5.8). This is the love of God, not defeating the justice of God but fulfilling it. Love has not ‘won’, love has not defeated justice. Rather, God has acted according to his whole character, just and loving together, and the result is our redemption. Many have heard the gospel framed in terms of rescue. God has to punish sinners, because God is holy, but Jesus has paid the price for our sin, and so we can have eternal life. However true or untrue that is technically or theologically, what it can do is subtly teach people that Jesus rescues us from God. Jesus does not rescue us from God, he rescues us from the consequences of our rebellion against God. Bell certainly acknowledges that there are consequences to our rebellion against God. He is eloquent in characterizing the brokenness in the here-and-now that results from our turning from God’s way to our own way. What he fails to appreciate is that these consequences, because they are offenses against a God who is eternal, are eternal consequences. In Bell’s theology the judgment of God and the cross of Christ are present, but marginalized. For him the judgment of God is always for the purposes of reconciliation and transformation (ch. 3). Indeed, sometimes it is. But not always. And when Bell treats the cross in chapter 5 he ends by reducing the cross to a metaphor for the fact that Jesus is “where the life is” (p. 129). As he later says, “It’s a reminder, a sign, a glimpse, an icon that allows us to tap into our deepest longings to be part of a new creation” (p. 138). Indeed, given his neglect of the justice of God, it is difficult to imagine what else he could say of them. And that, in the final analysis, marks the poverty of his book. I said at the outset that I was struck by the extensive use of emotional appeal in Love Wins. Having worked through the book in detail I am struck by one further thing: how superficial it all is. Bell jumps quickly from one idea to another with little more than a “What about this?” and a “What about that?” No Bible passage is treated in detail. No idea is explored in depth. Moreover, there is hardly a single new thought in the book. Others have argued that heaven and hell are descriptions of this life only. Others have argued that in the end all mankind will be saved. Others have reduced God’s character to a monochromatic ‘love’. Virtually everything in the book has been said better, if less energetically, by others. In the end, I find that I do not quite know what to think of the author. Either Rob Bell is the Joel Osteen of liberal American Christianity or he is a well-intentioned but sadly confused man struggling against the worst excesses of his American evangelical background. I should prefer to think of him as well-intentioned but sadly confused. Along the way he He says much that is good and true, but the true things are mostly part-truths and the good things are seldom connected to the biblical narrative as a whole, so that the way to which Bell points ultimately leads nowhere. The core message of the book ends up being no more profound that a bumper sticker motto: “Smile, God Loves You. Have a Nice Day.” Love Wins is a sad little book whose commercial success says more about the poverty of spiritual discourse in contemporary America than it says about “heaven, hell and the fate of every person who ever lived.” And that is perhaps its greatest disappointment. 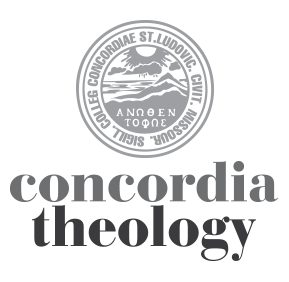 Dr. David Adams is Associate Professor of Exegetical Theology at Concordia Seminary. He is currently working on a commentary on Genesis.